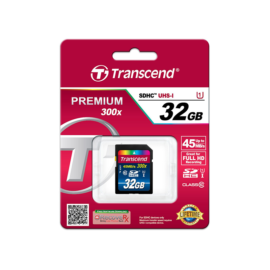 Please Note – This package comes without an SD Card. 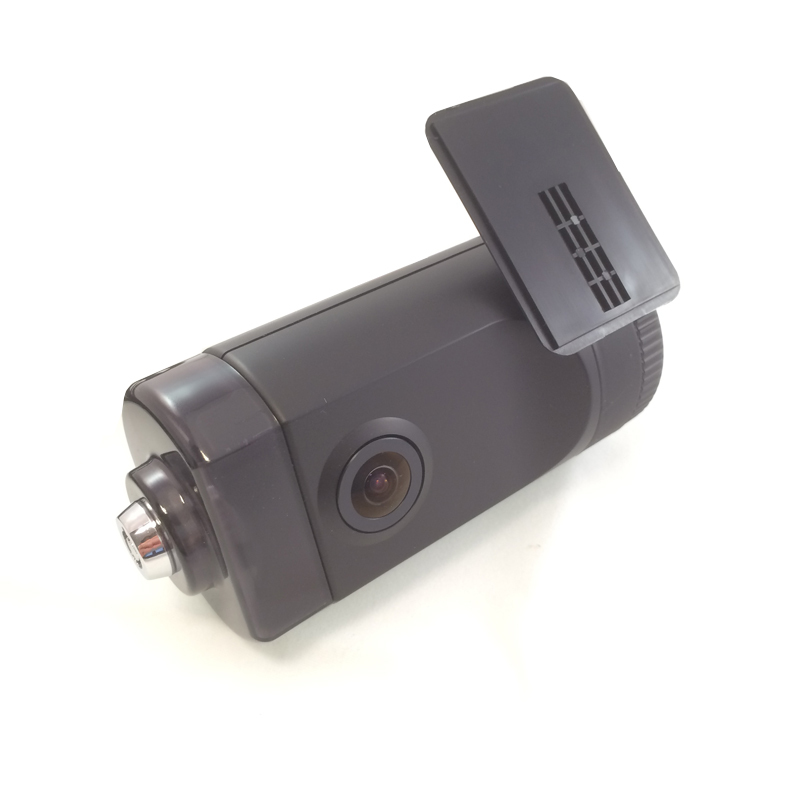 The Smart Witness SVC1080-LCA is a 1080P Full HD accident camera for commercial vehicles. The SVC1080-LCA also has a permanent power cable & a tamper-resistant design. 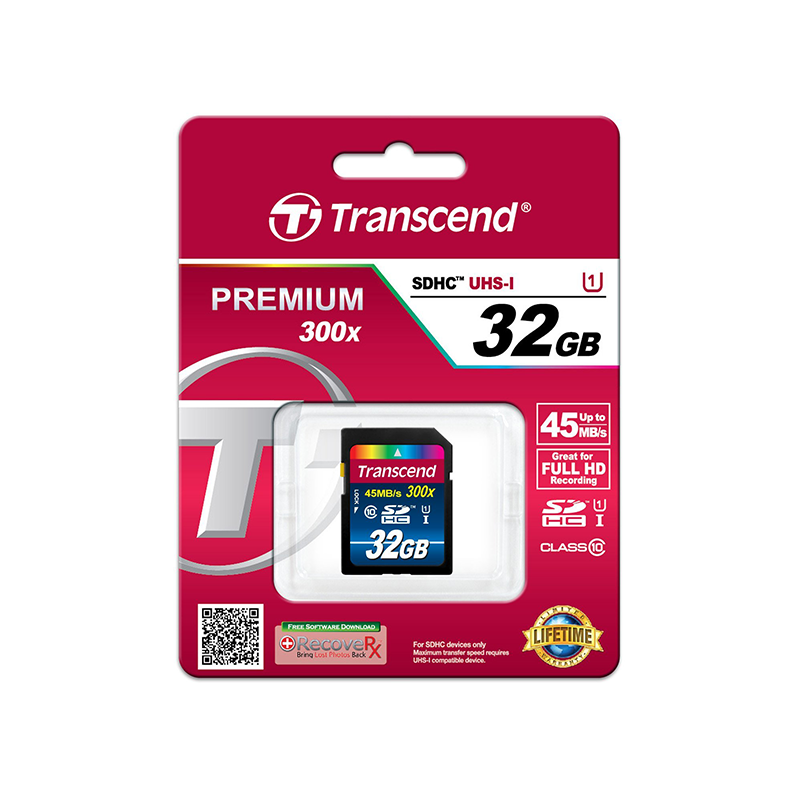 All of our SD cards are class 10 for Full HD (1080p) video recording, perfect for dash cameras. 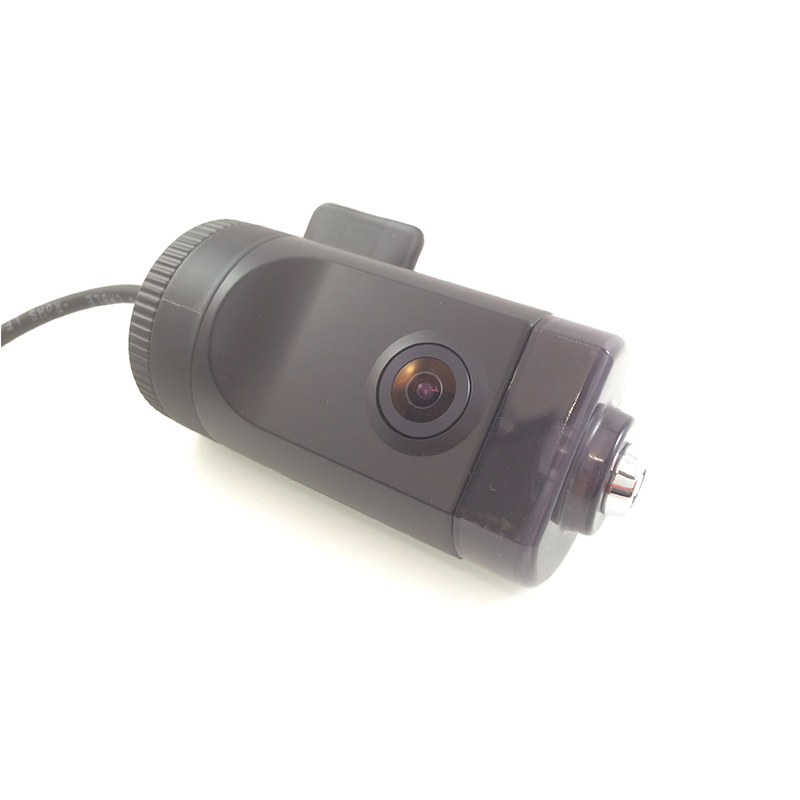 The SVC1080-LCA is a vehicle accident camera that is capable of full HD recording. In addition to this, the camera is equipped with a 3 Axis G-Shock Sensor that detects impacts but can also measure forces such as harsh braking and acceleration allowing you to asses the drivers behaviour. The SVC1080-LCA comes with a tamper resistant case and permanent wiring kit. This prevents the removal of the power and SD card which is only accessible with the provided key. The camera includes alarm outputs for telematics integration. The SVC1080-LCA features a full HD, 170° lens to provide a comprehensive view of any incident. 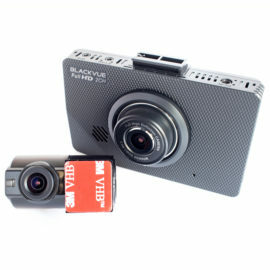 The SVC1080-LCA will record exactly what happened before, during and after an incident. The sample video provides a good indication of the quality of recording you can expect, this is recorded in 1080P @ 30fps. Please note, YouTube compression can degrade picture quality, make sure you have selected the highest resolution that YouTube will allow. 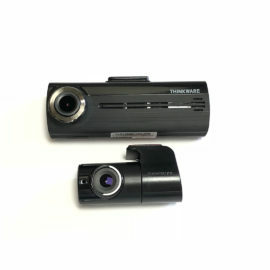 In continuous recording mode (1080P), The camera will begin to record when the system has booted up and will do so the entire time the unit is powered, as long as an SD card has been inserted. Up to 10 G-sensor event files will be recorded if there is a shock. Up to 10 Panic event files will be recorded if the panic button is pressed. There will be continuous 1FPS recording when in parking mode. 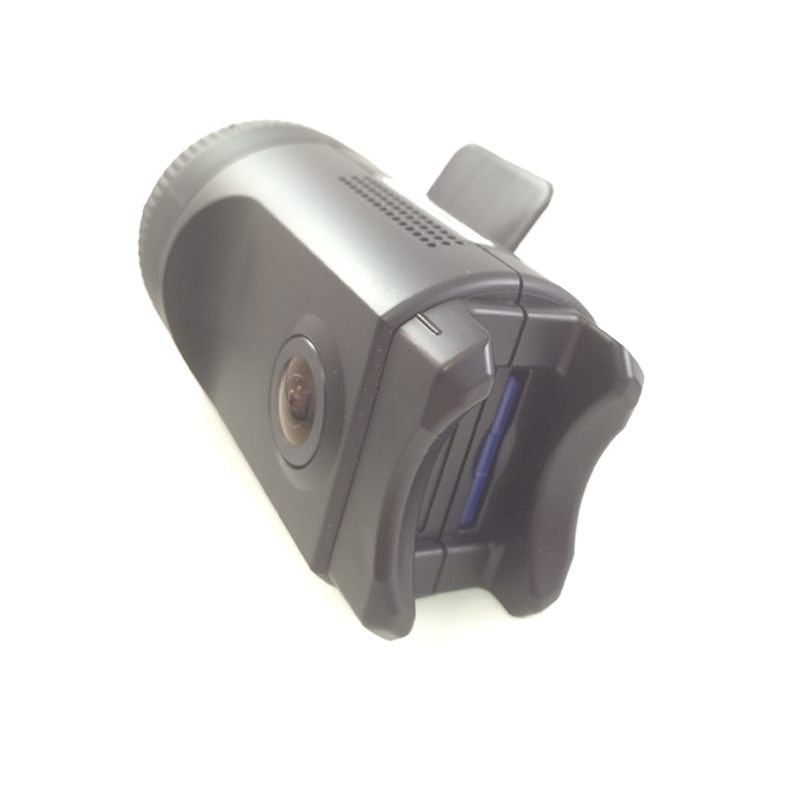 The SVC1080-LCA features a locking cover and is designed for hard wiring into a vehicle. This prevents tampering and makes the unit ideal for both commercial and private vehicle use. Built in GPS receiver by UBLOX, the worlds leading manufacturer of GPS receivers, ensuring the highest accuracy for vehicle location and speed. 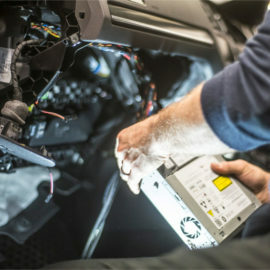 Embedded 256 level Bosch G-Sensor for accurate reporting of G Force levels during an incident. 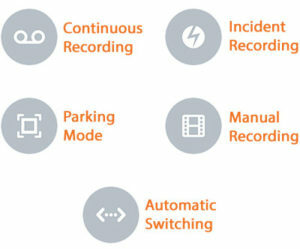 Records Driving Style by continuously monitoring the effect of speed, acceleration, braking and steering on the vehicle. 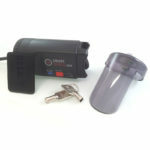 Built-in battery backup allows the unit to finish recording even if the power supply is interrupted during an incident. This Multi Award Winning Camera is designed for use in Commercial and Heavy Duty applications and should not be seen as a low-cost dash camera. 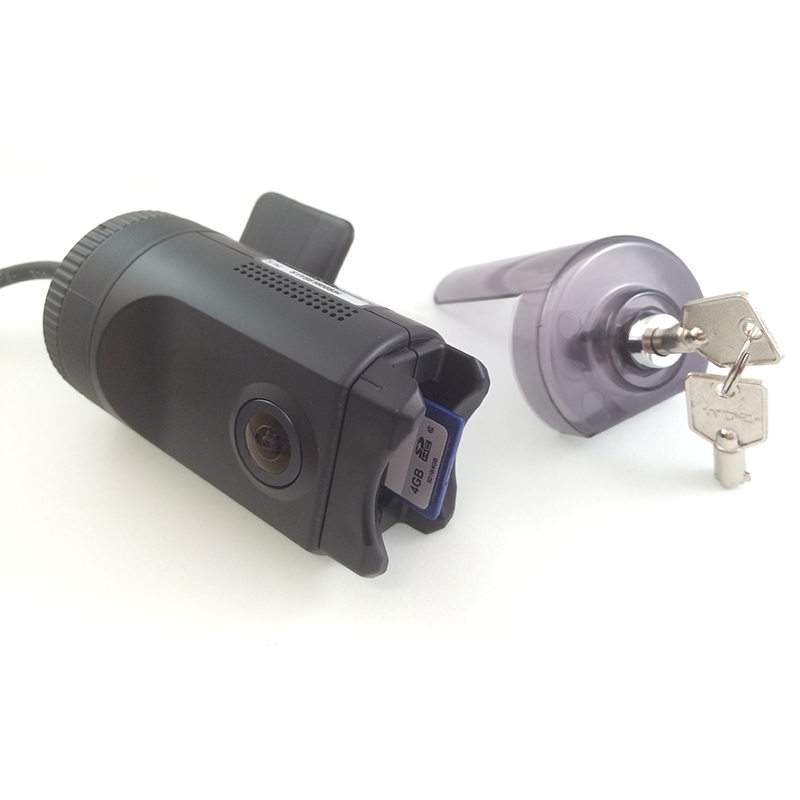 The camera features a lockable, tamper resistant case which prevents unauthorised access to the SD card or operating buttons. 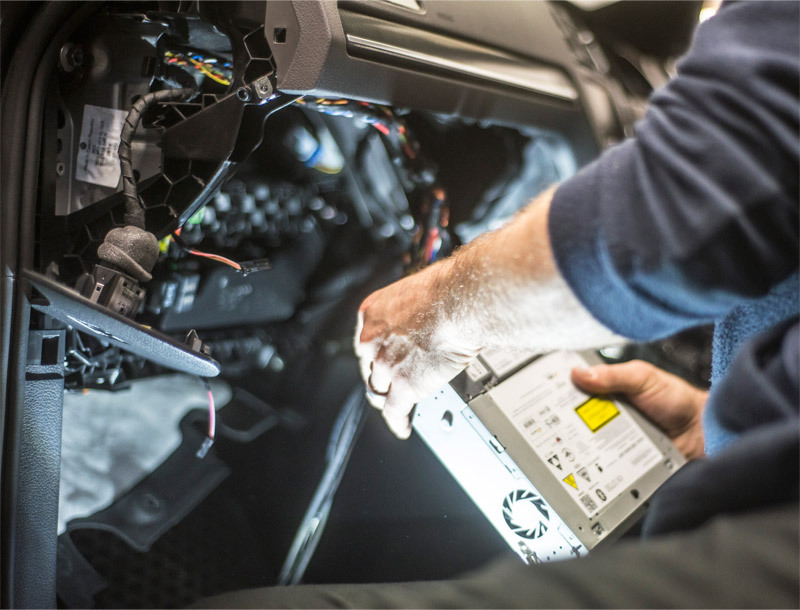 Built-in to the camera is the latest low light Full HD fast refresh imaging sensor, a high accuracy Bosch shock sensor and Ublox GPS receiver. 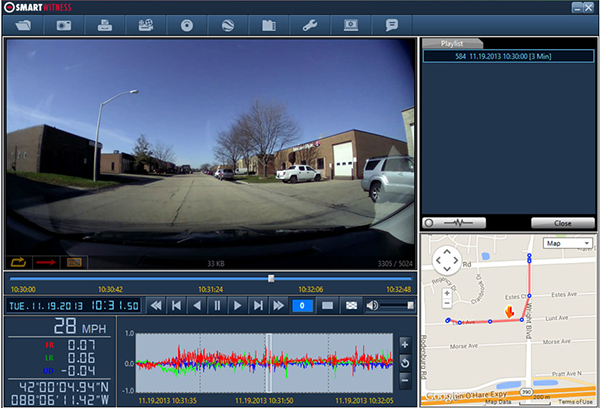 These elements combine to provide high quality recordings which include the location, speed and force of the incident. 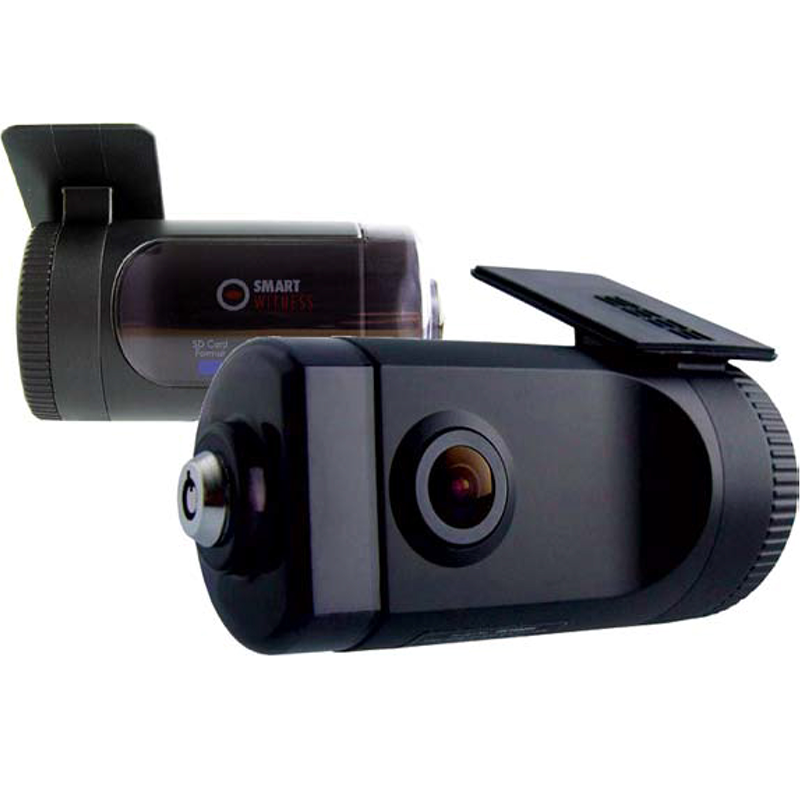 For our commercial customers, we recommend 720p @15FPS recording as this gives you 25 hours of recording time. The items below are included with every Smart Witness SVC1080-LCA and come packaged with the dash camera. A user guide and warranty card are also included. 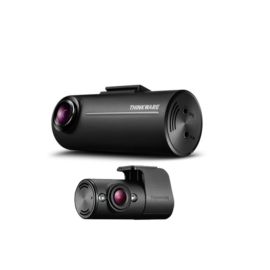 If you would like us to professional install your Smart Witness SVC1080-LCA dash camera just tick the check box before you add the dash camera to the cart.